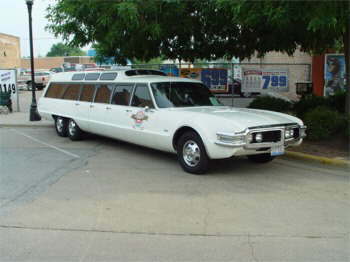 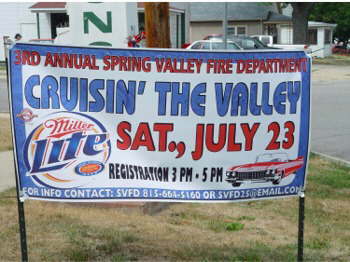 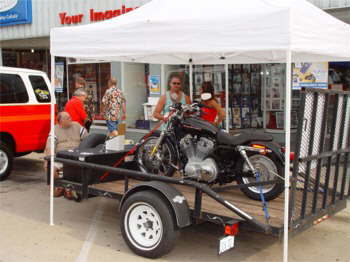 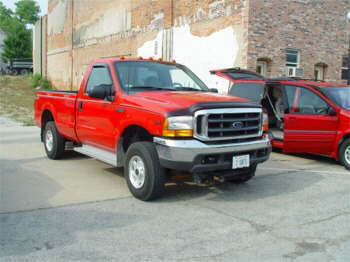 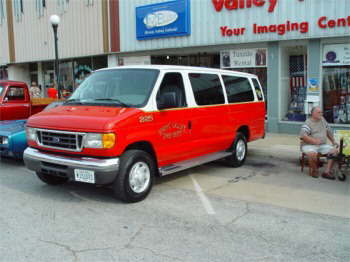 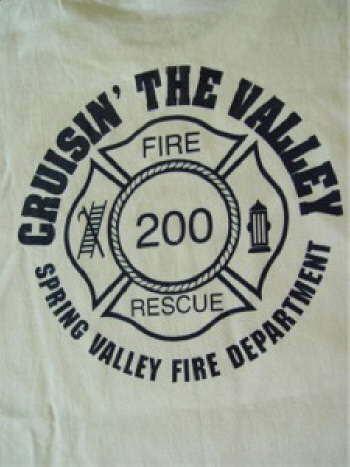 THIS WAS THE THIRD ANNUAL SPRING VALLEY FIRE DEPARTMENT CRUISE CALLED CRUISN' THE VALLEY, THE THEME IS " HELPING US HELP YOU " ALL THE PROCEEDS GO FOR EQUIPMENT, AND THE PURCHASE OF A 2005 FORD VAN AND PUTTING EQUIPMENT ON OUR NEW SNORKEL TRUCK. 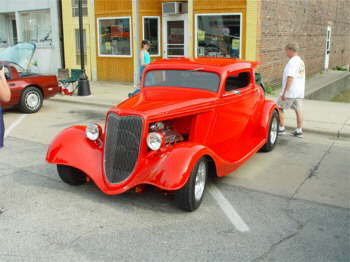 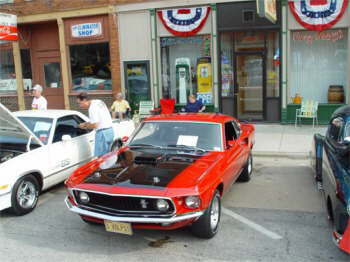 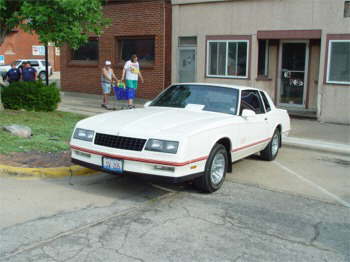 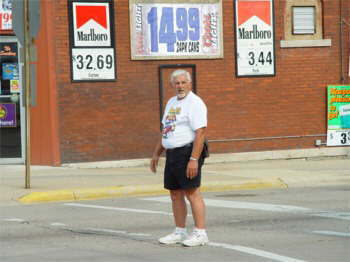 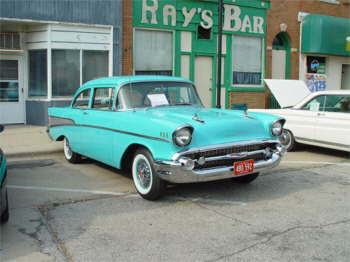 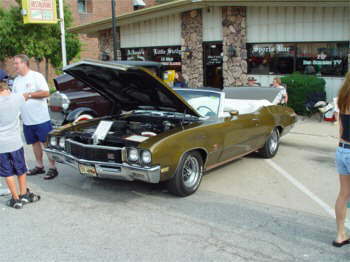 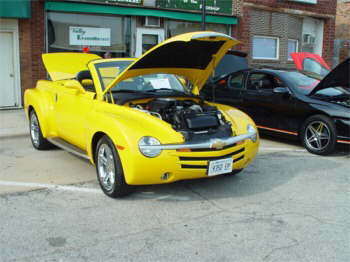 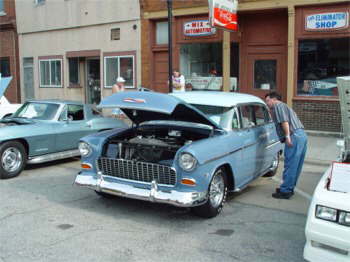 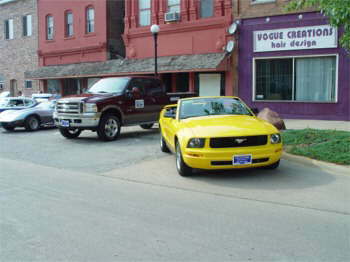 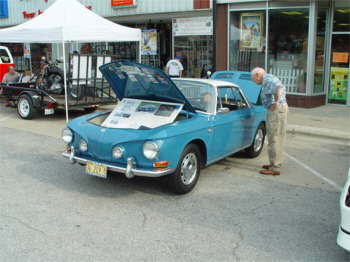 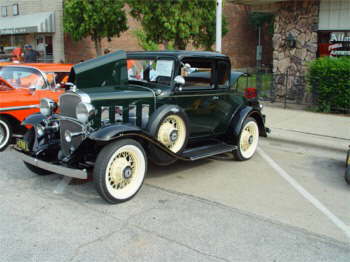 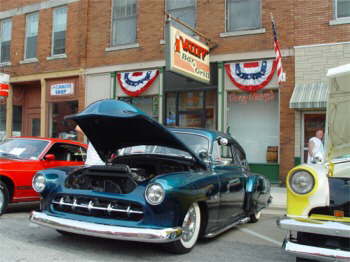 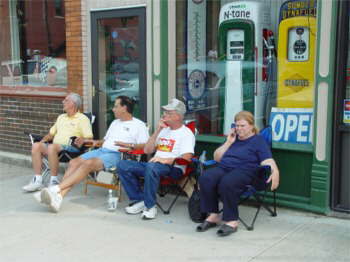 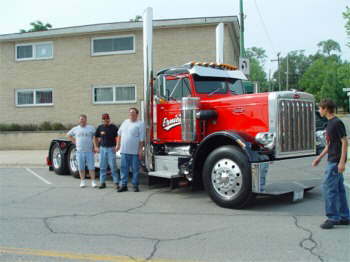 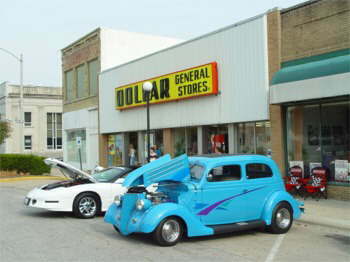 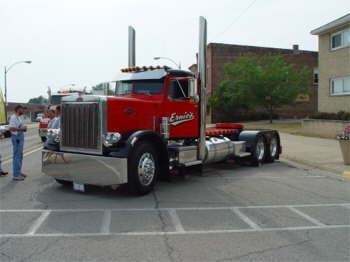 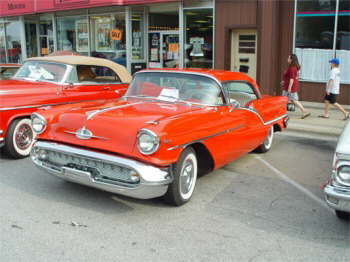 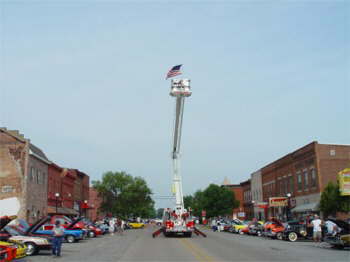 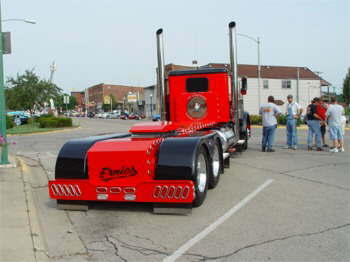 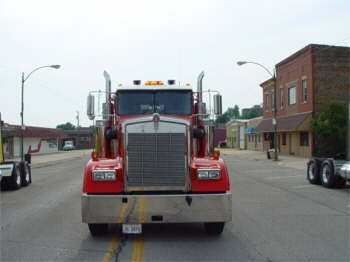 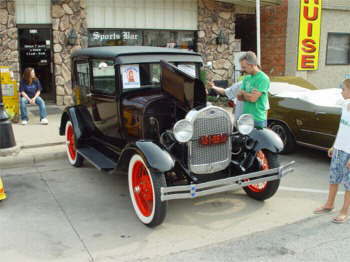 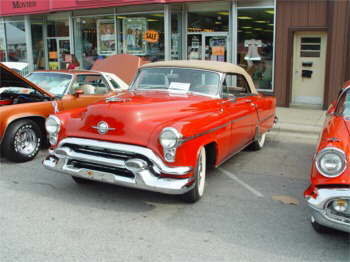 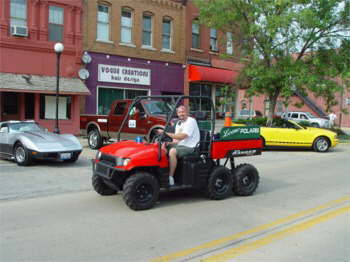 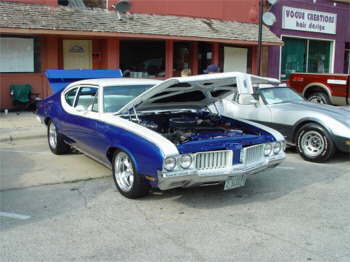 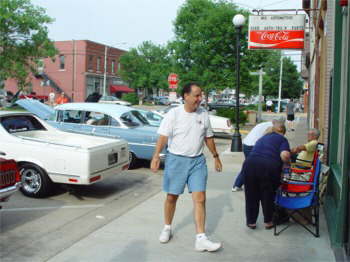 THE CRUISE HAD OVER 100 CARS THIS YEAR, HELD IN DOWNTOWN SPRING VALLEY, ILLINOIS. 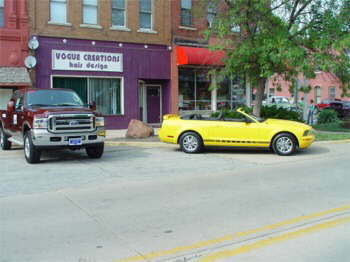 WE GAVE TWO DRAWINGS OF $100 BACK TO THE CAR OWNERS FOR APPRECIATION. 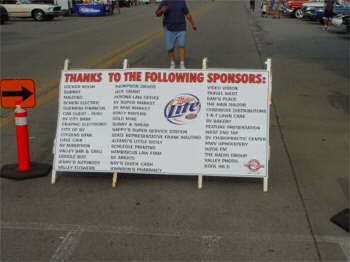 THE 50/50 WAS $750 WITH $375 GOING TO THE WINNER. 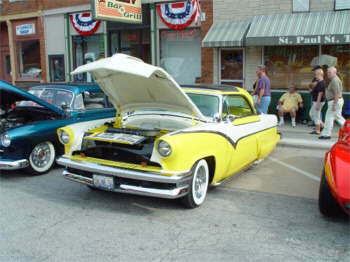 3D PROVIDED THE SOUND AND THERE WAS LOTS OF GOOD FOOD, BEER, AND DRINKS WITH A SOCK HOP AFTER FOR THE KIDS. 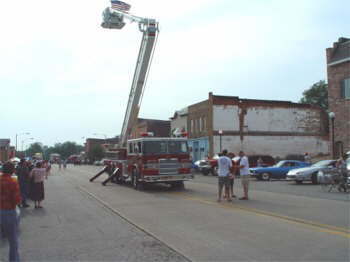 THERE WAS A LARGE TURN OUT CONSIDERING A 100 DEGREE TEMPERATURE! 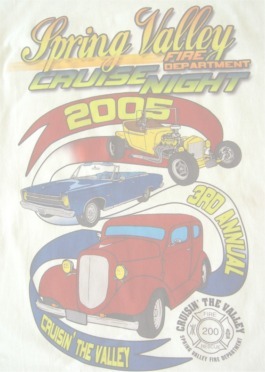 SEVEN AWARDS GIVEN OUT, MAYORS CHOICE, FIRE CHIEFS CHOICE, CITY EMPLOYEES CHOICE, PARK BOARD CHOICE, CRUISE COMMITTEE CHOICE, AND BEST FORD GIVEN BY VALLEY FORD. 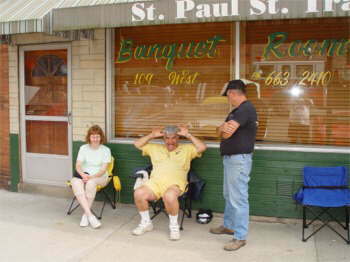 Chuckie waiting for his fried chicken!